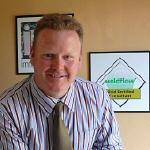 Why imtech design Moldflow Gold Certified Consulting ? imtech design has attained Moldflow Gold Certification, ensuring our customers receive the highest level of technical expertise. This prestigious award has only been gained by a handful of companies Worldwide and confirms imtechs commitment to excellence in the field of CAE analysis. 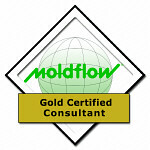 The Moldflow Certified Consulting Partners Program covers three levels: Bronze, Silver, and Gold. The program designed to provide the plastics industry with access to the highest quality advice. Each Consulting Partner must commit significant personal time and resources to attending training courses and successfully pass rigorous certification exams; while demonstrating a high degree of competency in injection molding. Imtech Designs specialty is the Moldflow simulation of the plastic injection molding process. In order to help their customer’s turn more plastic into profit and focus exclusively on identifying potential problems and areas where material or cycle time savings can be made. Moldflow Simulation is our core business, optimizing part and tool design using the full suite of Moldflow CAE software is what we do. Our success is built on providing excellent services to businesses who need to produce parts correctly the first time and require the most efficient molding process for lean profitable manufacture. Celebrating 21 Years and over 2800 Moldflow Simulation Projects. Imtech Design provides exceptional customer service giving high priority to every project. We update the customer with project progress by email complimented with online meetings using Webex. We can show the customer all results, including fill pattern animations, in real time. Good communcation links promotes discussion focussing on optimising the design and ultimately shortening project lead times by hours if not days. Moldflow plastics simulation technology has been around since the early 1980’s and has been well proven over time to aid designers and manufacturers of injection moulded products remove potential problems before the mould tool arrives on the production floor. imtech design has grown with the technology and has provided production / design advice on more than 2,800 moulds since 1987 worth millions of Dollars. Moldflow simulation is compatible with most injection moulding applications, including standard single cavity, multi or family moulds, 2K - Over-mould and hot or cold runner feed systems. Moldflow is also up to date with advances in hot runners both conventional and sequential valve gates or new Dynamic Feed technology. Imtech 's simulation tool kit includes Moldflow MPi - 3D mould filling, cooling, holding phase, gas injection, fibre fill, part warpage and shrinkage analysis. A plastic flow simulation highlights most quality problems including: - high fill pressure, short shots, weld lines, gas traps, high gate shear, sink marks, poor cooling, long cycle times and distortion. Moldflow is an industry generic term for:- Polymer Flow Analysis, Mouldflow, Mould Filling Analysis & Mold Filling Simulations. Accurate and Confidential Moulding Solutions Since 1987 Contact us for more information.